Figures compiled by device insurance firm ProtectCell indicate that owners of Apple's iPhone suffer fewer broken screens and other device problems requiring replacement, but are far more likely to having their products stolen. 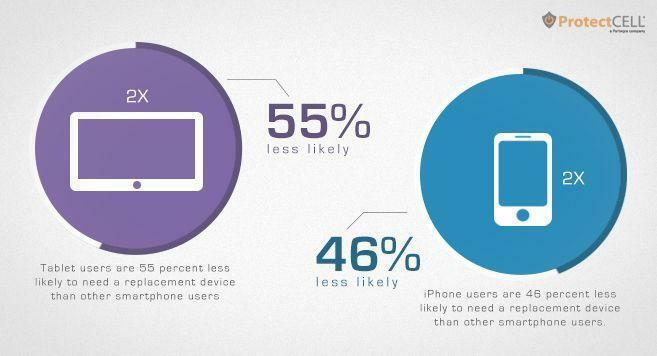 The firm, which has sold over two million insurance policies covering phones and tablets, issued a press release noting that iPhone users are 46 percent less likely to need a replacement device for any reason, as compared to other smartphone users. 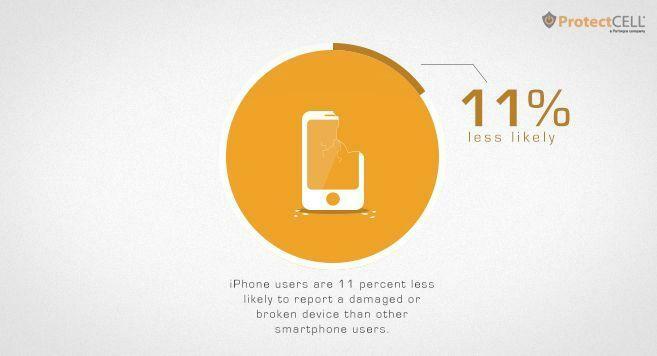 Specific to screen damage or breakage, iPhone users are 11 less likely to request repairs. That suggests that, despite a delicate appearance, iPhones either are less prone to damage or their users take better care of them (or a mix of both). The firm's press release attributed the difference to "luck." in addition to screen breakage, liquid damage, power surge melt downs and mechanical failures, ProtectCell also covers against theft or mysterious disappearance. 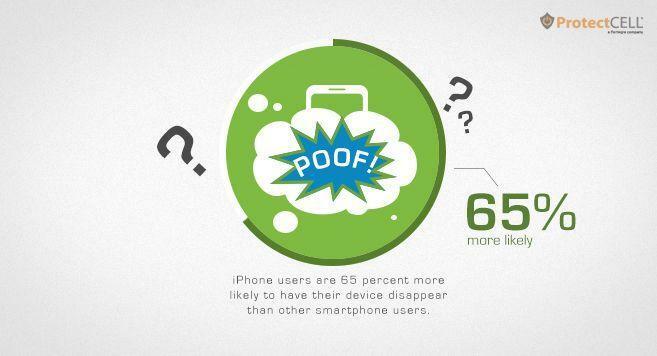 In that respect, iPhones lead other smartphone owners with a 65 percent greater likelihood of going missing. Apple has targeted the well-documented attraction of thieves to its products by introducing Activation Lock, a free new feature in iOS 7 that locks device activation to a users Apple ID, ensuring that any iOS device protected by a passcode can't be stolen and resold for easy export by thieves who plan to erase and resell the device. Both Google's Android and Microsoft's Windows Phone lack any mechanism for similarly blocking reactivation of a stolen device by thieves, but devices using those platforms are currently much less likely to be stolen because they lack potential for easy resale. Another fact floated by the company: replacement requests by insured tablet owners increased dramatically in 2013 over the previous year, with users being 90 percent more likely to request device replacement.